"My belief is that everyone deserves a proper burial," Tiffany Woodard-Brown, the funeral director said. GREENSBORO, N.C.-- The family of a Greensboro woman says they are grateful to everyone who helped cover their mother’s funeral expenses. 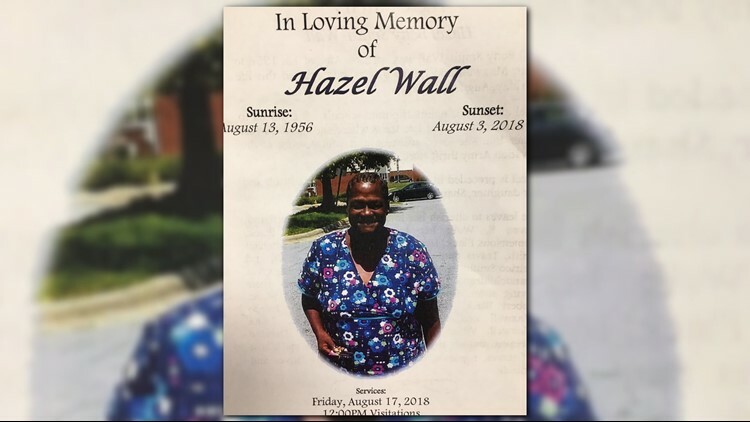 Hazel Wall passed away August 3rd at the age of 61. “She did her best to raise us 10 kids,” Keshia Smith said. You could often find Wall at the corner of Westridge and Whitehurst Road in Greensboro, sometimes asking for money, but always with an encouraging word to share. “She didn't have to be out there but that's something she wanted to do that on her own. Her own will. she had a home. She had a family, a loving family.” Smith said. So when Wall died, Smith hoped people would help with the funeral. She stood on the same corner her mother did. Some gave donations directly to the Woodard Funeral Home. But there was still a hefty balance until an anonymous donor who also lost a parent came through the doors. “He felt he had been led to help this family,” Tiffany Woodard-Brown the funeral director said. The donor paid what was left of the balance-- a gesture smith never expected. “I can't ever ever repay him, but from my family to you I want to say thank you so much. God bless you.” Smith said. “It helped me to understand that there are still some good people out here and that when we come together as a community that we can do some great things” Woodard-Brown said.